River Crossing c/o the City of Edmonton. Source. 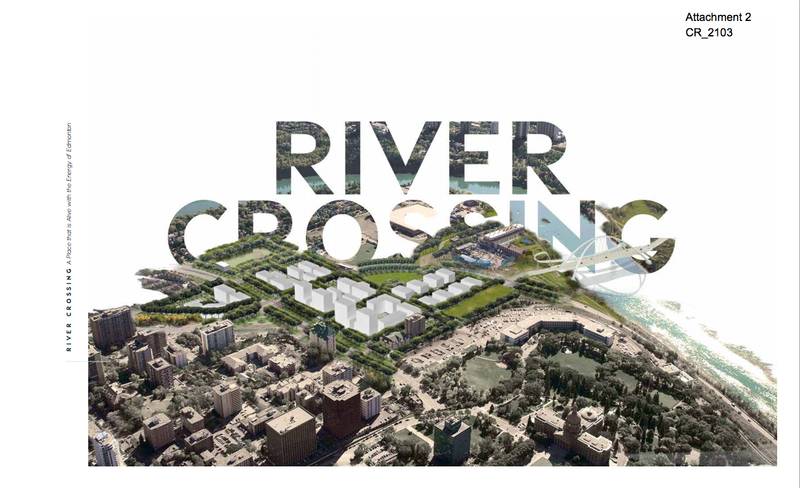 On April 14th, 2015 Edmonton City Council held an information session on the River Crossing area, which includes West Rossdale and the Rossdale power plant. Council did not hear from the public but took the time to listen to presentations from City Administration about the area and to consider what their next steps might be. Administration presented a vision for the area that was largely accepted by Council, thought some refinement was requested around the issue of First Nations history and consultation. Administration must also issue a request for proposals for a 5-year period for the use of Telus Field, as well as working with the Mayor to advocate to the Province for a timely and definitive decision on whether they wish to work with the City on areas of the River Crossing district. Representatives from Rossdale ReGeneration will meet with City Administration to discuss these next steps and we look forward to the June 15th Executive Committee meeting when the Administration will provide the requested report.